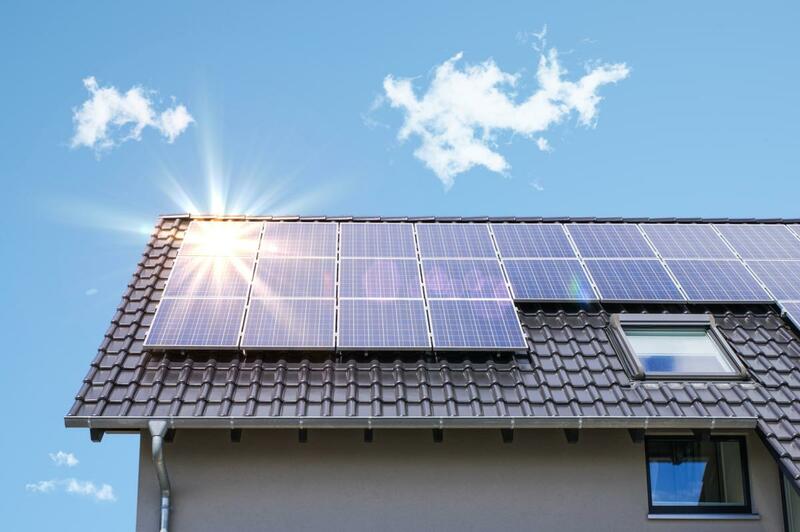 Feed-in tariffs (FIT) have been created by the Queensland government for electricity generating solar photovoltaic (PV) systems. It is a way of subsiding renewable energy. Both net and gross feed in tariffs have been introduced by various governments. Queensland uses the net FIT system where electricity produced just offsets the producers usage. Buy quality and do your research in finding the best tariff from the electricity companies in Queensland. There is plenty of choice available from energy retailers in the South East Queensland area. The average home uses approximately 6.1MW a year. This is 16.71 kWh per day. How do Solar Systems work? Solar PV modules supply DC power. An Inverter changes the solar DC power into 240v alternating current (AC) suitable for your household appliances and feeding into the grid. 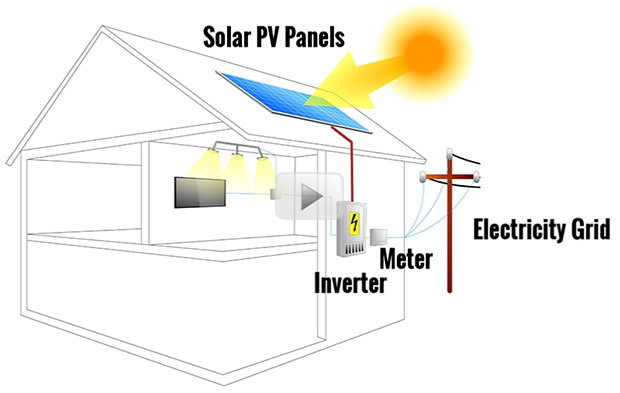 Your home uses power freely from the solar PV modules with additional demand supplied from the grid. A meter measures your electricity production and consumption. Any excess is "exported" to the electricity grid. How are Solar Systems Measured? Kilowatts (kW) are a measure of electricity usage/generation (e.g. right now your system is producing 2.5kW). When referring to solar PV system capacity, the term kW is usually used - this indicates the 'peak' capacity of the panels or system; real-life production will likely be lower, depending on conditions. So you can see in the video under the Net Feed-in tariffs most common in Australia based on an 8c/kWh tariff the daily gain in value is approximately $3. Almost all FiTs around Australia are now net FiTs. This means a household is only paid for surplus electricity fed into the grid after domestic use is subtracted. If your system produced 3000kWh, for example, and you used 2500kWh of electricity in your home during the day (the time when your PV system was generating power), the rate is only paid for the 500kWh difference. 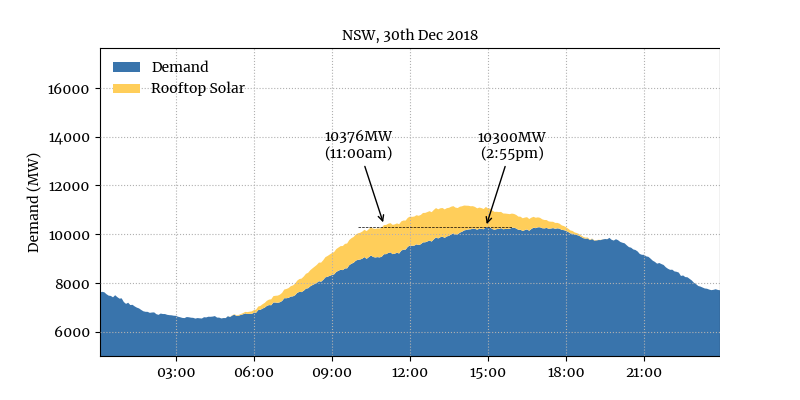 As an example, if this system was in Queensland, where a net Solar Feed-in Tariff is in place, its owner would earn: 7.04 kWh x 8c/kWh = $0.56 in feed-in tariff income (7.04kWh is the surplus amount of solar energy generated and exported to the grid) as well as save: 9.67kWh x 22.2c/kWh = $2.15 in electricity you would otherwise have to pay for. Giving a total benefit of $2.71. The solar panels with 25-year performance warranties (typically warranting that the panel will still produce at least 80% of its claimed power rating after 25 years) plus a 10 to 12 year warranty for the panels etc itself. An installer may also give warranties for the mounting frame, workmanship and so on. Improve the energy efficiency in your home to save up to 30% on your bills. You can do this by turning off appliances, using the dishwasher and washing machine only when full and purchasing energy-efficient appliances. Assess what energy you currently use and the system capacity you need (and can afford). Check if your roof faces the right direction. Only north-facing panels will produce their full capacity. Ensure there are no trees, power lines or other structures shading your roof. Find out what local council approval is needed. Increasingly, local councils have staff on hand to assist with making the best decisions on solar. Try to figure out your system's payback time. Get multiple quotes from installers to ensure you're getting a good deal. If you can't afford the upfront costs, consider solar leasing and power purchasing agreements. Make sure the installer is accredited by the Clean Energy Council (CEC) and that the panel meets the required standards. Check out the CEC guide to installing solar in your home. 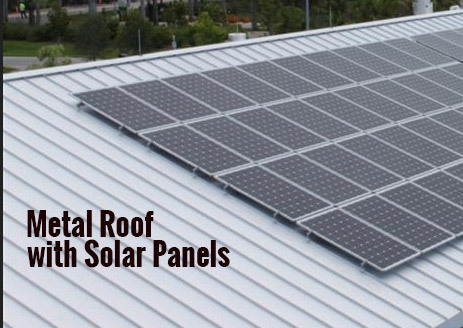 Metal Roofing experts say a metal roof does not stop you from installing a solar system.